Item Number: 234-265 17828 Actual Weight: 5 lbs. Ideal for mailing invoices, letters, and other documents requiring two windows. 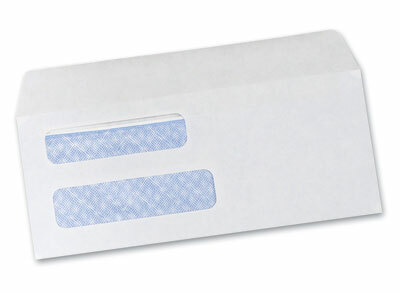 Security envelopes feature blue tint for privacy and confidentiality and have gummed flap closure. Top window size is 7/8" x 3-1/2". Bottom window size is 1" x 4".